For children who have imperfect assimilation, who do not grow and develop. For children who are anaemic having feeble digestion. Children with lack of concentration and poor memory. Baryta Carbonica - 3x: It is useful in children who are physcially and mentally underdeveloped (stunted growth). Silicea - 6x: Silicea is vital to the development of bones, the flexibility of cartilage, and the health of skin and connective tissues. Calcarea Phosphorica - 3x: It helps in children who are slow in walking, helps in improving the develpoment of Bones. 1 tablet daily for children below 13yrs. 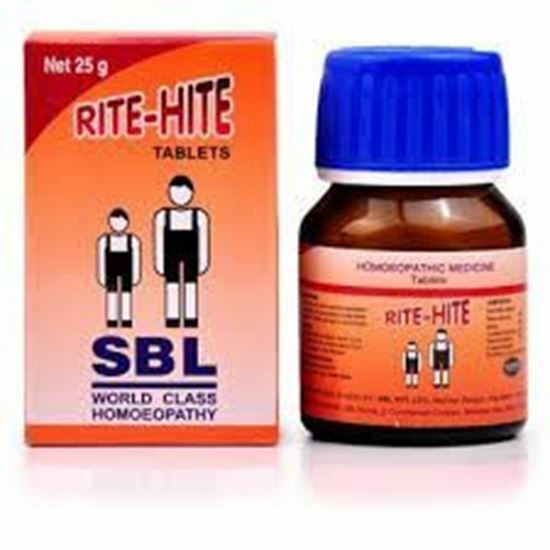 2 tablets daily for children above 13yrs. 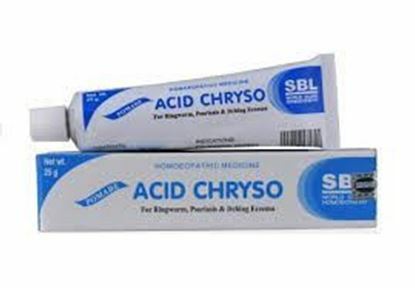 Also known as Acid Chryso Cream Properties Weight40 (gms) Dimensions12 (cm) x 2.7 (cm) x 2.7 (cm) About Acid Chryso Ointment SBL’s gel & ointments are prepared in a one of its kind Homogeniser for an equal distribution of the medicament to each and every part of the gel and the ointments. Quick Absorption. Deep penetration. Non-staining. Easily washable. 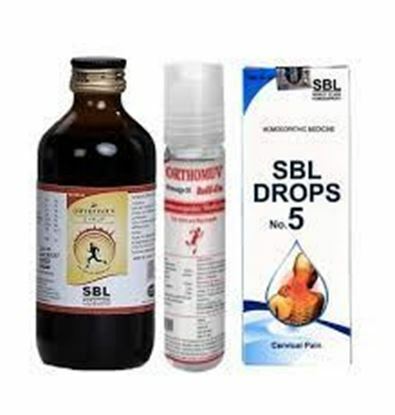 Indications: For ringworm, psoriasis and itching eczema with thick crust. Composition: Acid Chryso 1x 5% w/w Ointment base q.s (White Petrolatum, Paraffin & Lanolin) Terms and Conditions We have assumed that you have consulted a physician before purchasing this medicine and are not self medicating. ACIDUM PHOSPHORICUM Acid Phos is normally believed to be a severe or semi-severe remedy for the consequences of anguish and fatigue . In effect, the most typical aspect of the mentals of this homeopathic medication is a strange emotional detachment. Acid Phos is effective in people enduring the health conditions may experience loss of desire for food , coldness, an intense desire for succulent fruits or energizing fruit drinks, sweating , and the feeling of an overwhelming weight on their head and / or light-headedness occurring in the evenings following long hours of remaining standing or when they are walking. 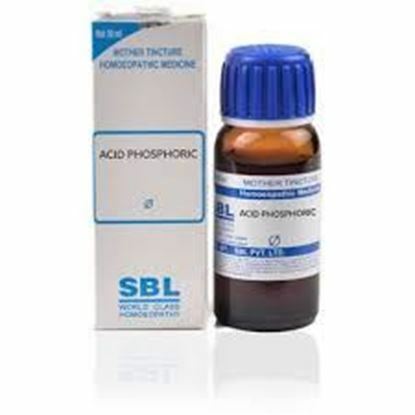 Practitioners of homeopathy prescribe the remedy Acid Phos. for children who grow up very rapidly and, thereby, often suffer from growing pains. 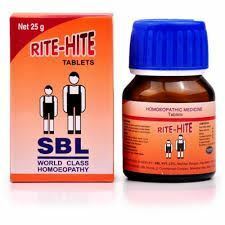 In fact, this is an appropriate medication for treating growing pains as well as other types of pains . 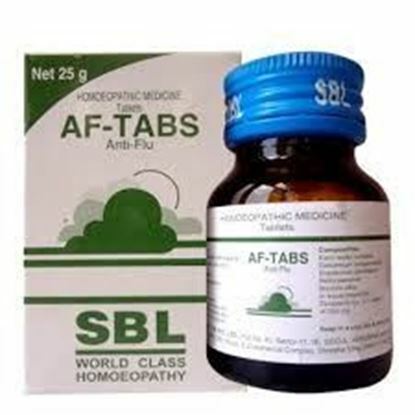 Properties Weight527 (gms) Dimensions9.5 (cm) x 9.5 (cm) x 12.5 (cm) About AF Tabs AF-Tabs is a product of SBL's Research and Development and is a combination of well proven drugs of homoeopathy therapeutics which bring quick and significant attenuation of signs and symptoms of influenza and is highly effective in common cold. The specific signs and symptoms of influenza e.g. malaise, headache, pain in the back and limbs, chills, anorexia, sneezing, blocked nose, watery nasal discharge, cough, flushing of face, suffused conjunctiva, hyperaemic fauces and tenderness over the sinuses are remarkably attenuated on the 2nd day in patients receiving AF-Tabs.